The Ramapo Police Department is seeking the public’s assistance as they continue their search for two suspects who remain at large after allegedly stealing a guitar with a value of nearly $1,900. 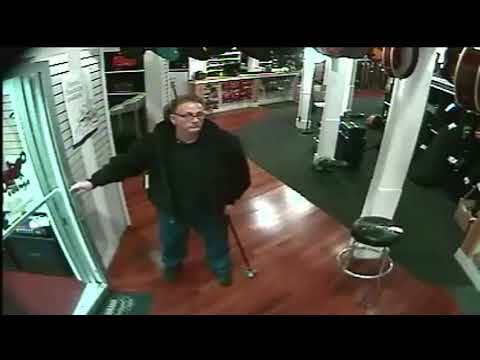 Over the weekend, the department released photos of the two suspects, and a video that shows them walking around Alto Music on Route 59 in Airmont before the American Elite Stratocaster guitar was stolen at approximately noon on Tuesday, April 17. Anyone with information is requested to contact the Ramapo Police Department Investigations Division by calling (845) 357-2400.